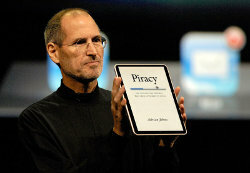 While e-books have some in the publishing world worried that the book business might be headed down the same track as America’s ill fated music industry, others have nevertheless embraced the idea. Time Out Chicago interviewed Carol Kasper, director of marketing for the Press, for a story about several of Chicago’s “visionary authors and publishers” making efforts to deliver their work digitally. The article highlights our recent initiative to “groom a future generation of e-savvy readers” by offering one free e-book every month through our website. So go ahead and groom yourself for future e-savvyness and download this month’s free e-book: Cartographies of Danger: Mapping Hazards in America by Mark Monmonier. Read the Time Out article on the TOC website. . . . 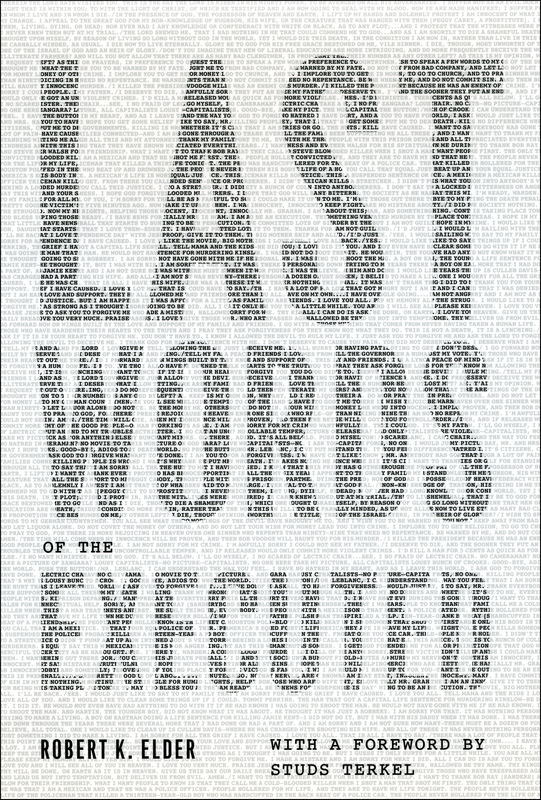 This week’s edition of Time Out Chicago is running a review of Robert K. Elder’s new book Last Words of the Executed—a collection of the final words of inmates executed by the state. Some beg for forgiveness. Others claim innocence. At least three cheer for their favorite football teams. Documenting executions that range from 17th century women accused of witchcraft to some of the twentieth’s most infamous serial killers, as the Time Out article notes, Elder’s account remains surprisingly disinterested, asking only that readers listen closely to these voices that echo history. The result is a riveting, moving testament from the darkest corners of society. Read the review. 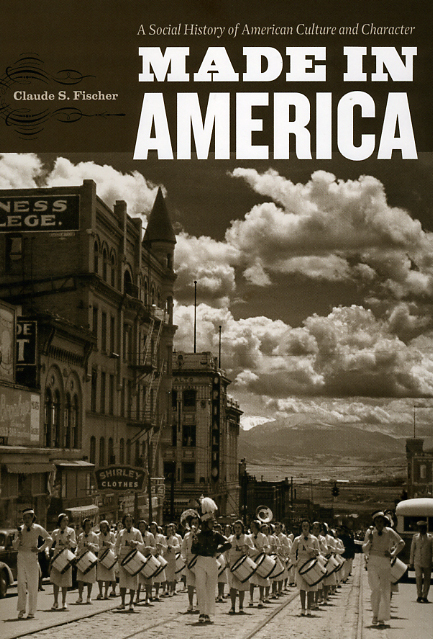 Also see the author’s webiste for the book. . . .
Claude S. Fischer’s Made in America: A Social History of American Culture and Character has received another positive review, this time in the May 24 edition of the Financial Times. The review begins: Everyone likes to generalise about Americans, all 300m of them. But few are likely to be able to do so with the authority of Claude S. Fischer, professor of sociology at the University of California, Berkeley. In Made in America, Fischer embarks on a vastly ambitious project: “to sketch how American culture and character changed—or did not change—over the course of the nation’s history”, from the colonial era until now. That he does so in fewer than 250 pages (there are 200 pages of notes), and in a readable and entertaining way, is a formidable achievement. Fischer narrows his frame of reference by considering the American people’s relationship with five basic aspects of life: physical security, material goods, social groups, public spaces and mental attitude. He concludes that, if anything, prosperity has enabled Americans to become more American, with more people aspiring to the prosperity and individual freedom that became socially and culturally embedded more than 300 years ago. Read the rest of the review on the . . .
Will the Arizona Boycotts Work? In late April, Arizona Senate Bill 1070 — the controversial legislation which gives police broad authority to question the citizenship of anyone suspected of being an illegal immigrant — was signed into law. Since then, many groups have called for boycotts of the state. But is boycotting the best way to protest a law that many see as draconian? To answer that question, many in the media have turned to historian Lawrence Glickman, whose book, Buying Power: A History of Consumer Activism in America, the Press published in 2009. He was interviewed for the article “How to Make a Boycott Matter” in Colorlines magazine and on congress.org, and he was a recent guest on KPFA’s The Morning Show and KALW’s Your Call. So what does Professor Glickman think of the boycotts? Despite the fact that boycotts rarely work, Glickman thinks this protest could prove to be very effective after all. As he explains on The Morning Show, the fact that boycotts are aimed at both the state of Arizona and businesses based there will make this action more impactful and more immediate. 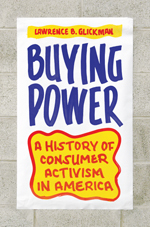 In Buying Power, Glickman offers a sweeping and definitive history of American consumer activism. Examining the long tradition . . . The June edition of ARTnews magazine contains a piece on artist Josiah McElheny and his obsession with the work of German novelist, poet, and artist, Paul Scheerbart. 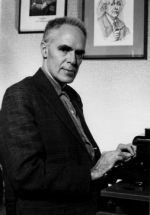 Through his many writings and drawings Scheerbart envisioned an electrified future, a world composed entirely of crystalline, colored glass—a vision which had a profound influence on many of his contemporaries in the worlds of art and architecture, including Walter Benjamin, Bruno Taut, and Walter Gropius. 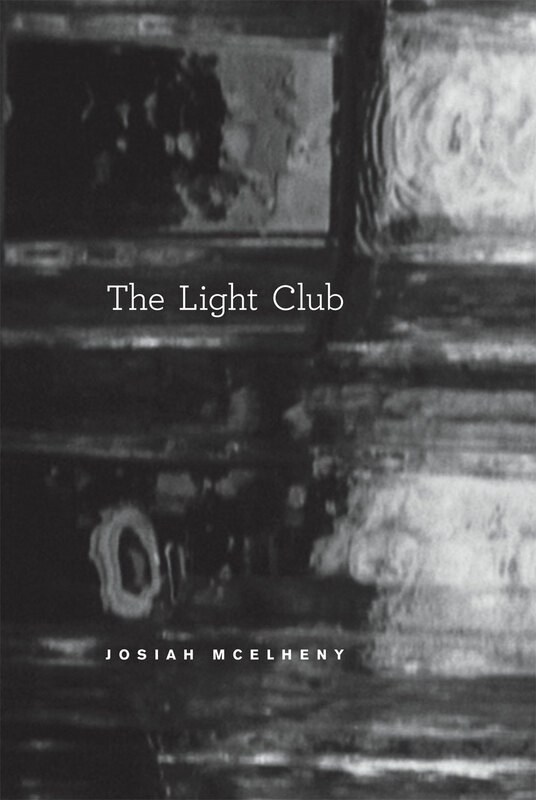 As the ARTnews article notes, after discovering Scheerbart’s work for himself, McElheny’s work has been similarly influenced by the ideas of this nineteenth century visionary—not only inspiring McElheny’s recent book, The Light Club: On Paul Scheerbart’s “The Light Club of Batavia”, but also a whole series of McElheny’s other work, from film, to performances, to sculptures. To find out more navigate to the article at the ARTnews magazine website . . . .
Modern technology allows architects and engineers to design and construct buildings that were impossible just a few years ago. At the same time, what lies underneath these surfaces is more mysterious than ever before. 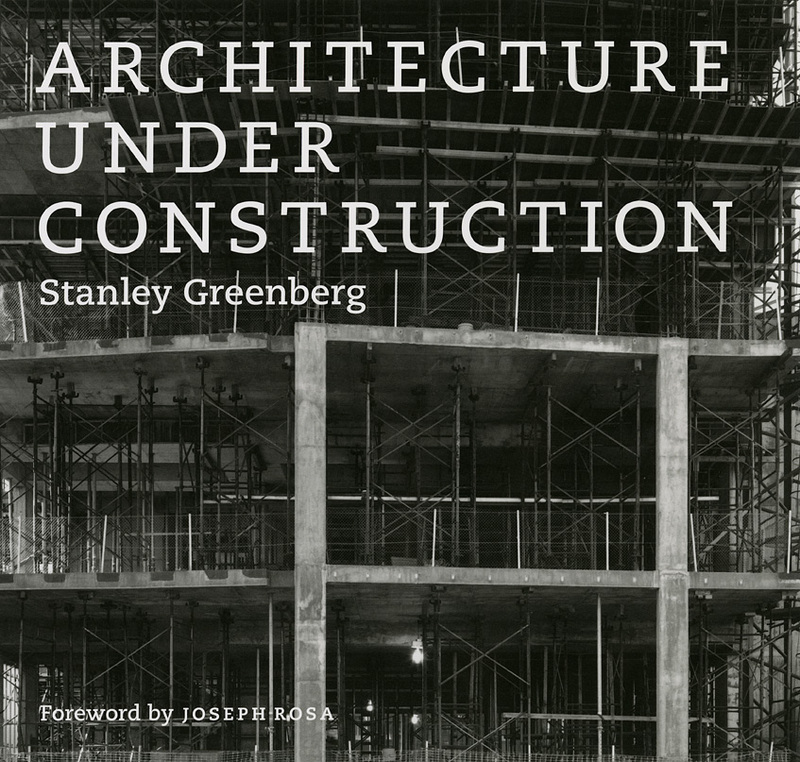 In Architecture under Construction, photographer Stanley Greenberg explores the anatomy and engineering of some of our most unusual new buildings, helping us to understand our own fascination with what makes buildings stand up, and what makes them fall down. From a recent article on the book in the San Francisco Chronicle: Shooting in black and white with a view camera, Greenberg approaches his subjects with what looks like naive—or architecturally unschooled—fascination. Part of his book’s appeal lies in its recording of what must disappear to give buildings the structure and appearance they have. Former San Francisco Museum of Modern Art curator of architecture and design Joseph Rosa, now director of the Weisman Art Museum at the University of Minnesota, provides a foreword. But Greenberg’s pictures by themselves make a powerful argument for city dwellers to enjoy their privileged view of architecture as a process, not merely a product. Read the review at SFGate.com or see a gallery of photographs from the book. . . .
Environmental conservation and sustainable development are hallmarks of the modern green movement. But few people realize these concepts have been around for centuries. In fact, according to historian Harriet Ritvo, the environmental movement as we know it can be traced back to an unlikely place at an unlikely time: a bucolic reservoir in Victorian Britian. 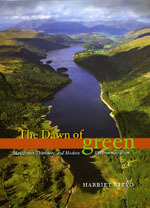 This week’s Science magazine reviews The Dawn of Green: Manchester, Thirlmere, and Modern Environmentalism, which “chronicles water-starved, late-19th-century Manchester’s determination to convert tiny Thirlmere … into the world’s largest reservoir.” Ritvo’s history brings to vivid life the colorful and strong-minded characters who populated both sides of the debate, revisiting notions of the natural promulgated by Romantic poets, recreationists, resource managers, and industrial developers to establish Thirlmere as the template for subsequent—and continuing—environmental struggles. Deemed “a penetrating microstudy that mixes environmental, scientific, urban, and political history” by Science, The Dawn of Green investigates Victorian ideas about industry, development, and technology to shows how the lessons learned in the Lake District can inform and guide modern environmental and conservation campaigns. . . .
Lots of books consider the Enlightenment, but few earn such high marks as Dan Edelstein’s The Terror of Natural Right: Republicanism, the Cult of Nature, and the French Revolution. In a recent review essay in the Nation, Samuel Moyn calls Edelstein’s history “one of the most memorable and absorbing books on the era I have ever read.” He goes on: Edelstein argues that Enlightenment naturalism turned out to be a recipe for terrible wrongs. Edelstein wants to know how the Jacobins, whom he rightly credits with some of the most progressive and egalitarian aims any political movement has ever professed (notably the invention of social rights to work and education), ended up orchestrating a reign of terror. Against interpretations that simply blame circumstances, Edelstein too insists that ideas mattered. But the most provocative argument in his book is that the ideas that made the revolution spiral out of control were the cult of nature and the belief in natural rights. 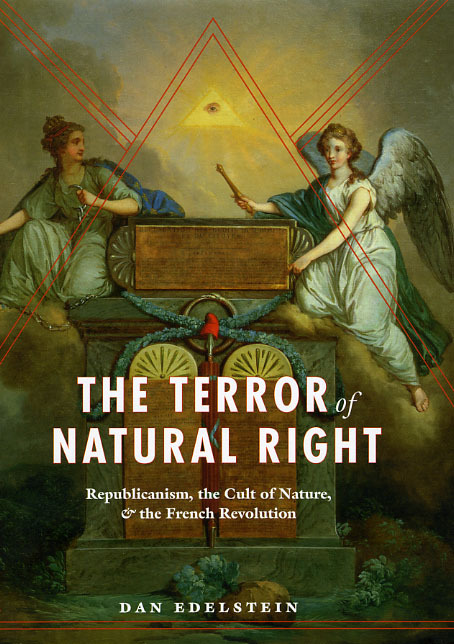 A highly original work of historical analysis, political theory, literary criticism, and intellectual history, The Terror of Natural Right challenges, as Moyn notes, prevailing assumptions of the Terror to offer a new perspective on the Revolutionary period. Read more about . . .
Much of the legislation currently winding its way through Washington—from health care to financial reform—has helped to widen the gap between the two major political parties. Earlier this morning Chicago Public Radio’s Eight Forty-Eight invited Robert Y. Shapiro, professor of political science at Columbia University and co-author of Politicians Don’t Pander: Political Manipulation and the Loss of Democratic Responsiveness, to discuss the pros and cons of today’s polarized political landscape. 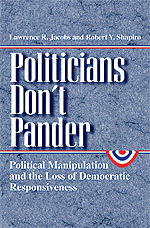 “Is all the partisanship a diminishment of politics? Or does it lift the game to its highest level?” Listen to the archived audio from the show on the Chicago Public Radio website to find out. Also read an excerpt from Shapiro’s book. . . .